The Alternative Daily’s CEO, Jake Carney, feels his meditation practice, Kelee® meditation, has helped him improve his life. 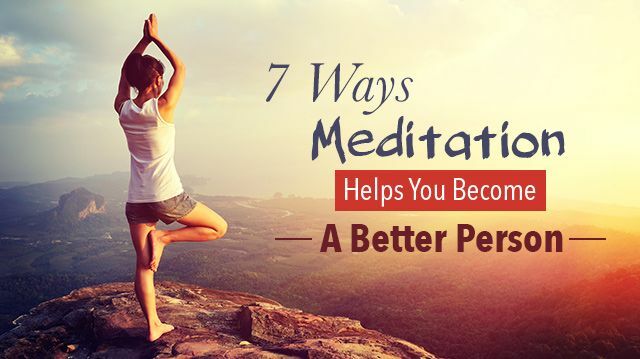 Wouldn’t you love to become a better person too, just by meditating? Well you can, and it’s easy to do. The best thing about this meditation is, it doesn’t change you into someone you’re not. It helps you to let go of the parts you would like to let go of. It enhances the real you. You know, the good parts — the things you love about yourself — the things that make you, you. Doing this practice gives your thoughts clarity: your thoughts about what to do, and your thoughts about your life. This is something good to know in a world that seems filled with people telling us how we should be, and what we should do. If you could see clearly what is best for you, wouldn’t you do it? “When your mind lights up with a good thought, your physical body follows suit.” A quote from the book, The Mind and Self-Reflection by author Ron W. Rathbun. While surfing, Jake, experienced this firsthand. He’d had “one of those days” at work and was out on the ocean but not “feeling the vibe.” He got a little frustrated, then decided to try and “drop into his mind,” right there on the water. So he dropped into his Kelee and detached from the thoughts bothering him. He waited patiently for the next wave, and it was one of the best rides of his life! Dropping into your greater Kelee, which is an opening to the mind, is not some abstract thought. It’s real, and you can use it to help yourself every day in your life. A wise person observes more and talks less. Through this practice brain chatter lessens, and you naturally hear more of what others are saying. Speaking from your heart means never having to apologize for saying something you didn’t mean. When you do Kelee meditation, you naturally speak from your heart, and your whole life gets simpler. Have you ever gotten into someone else’s business, then wish you hadn’t. We are responsible for ourselves. This meditation practice focuses you on your thoughts, and your life. “If you make something an issue, it will be. Do you create issues for yourself or others, and why.” When you live from the harmony of mind, you don’t make issues. Being dramatic is really just a waste of everyone’s energy anyway. It doesn’t help to get involved in other people’s problems. Most people don’t want to be told what to do anyway. When you are in mind, you focus on your life. Isn’t that enough? We recommend doing this meditation. It is a simple, five-minute meditation based on stillness of mind — and you can do it at home. For instructions, download this simple ebook, Kelee Meditation: Free your Mind, and begin becoming a better person today. Nikki Walsh is a freelance writer and mom of two kids living in Southern California. She holds an MBA in marketing from University of California, Irvine and a bachelor’s degree in Biochemistry from UCSD. She has been practicing Kelee meditation for 19 years. When she is not writing she can be found out and about having fun with her kids. ©2016 with permission of the Kelee Foundation. Hey Buddy!, I found this information for you: "7 Ways Meditation Helps You Become A Better Person". Here is the website link: https://www.thealternativedaily.com/meditation-become-better-person/. Thank you.